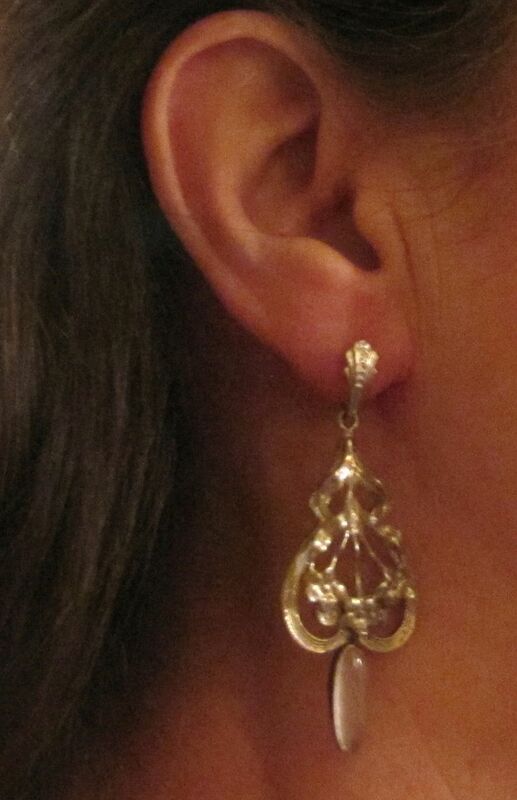 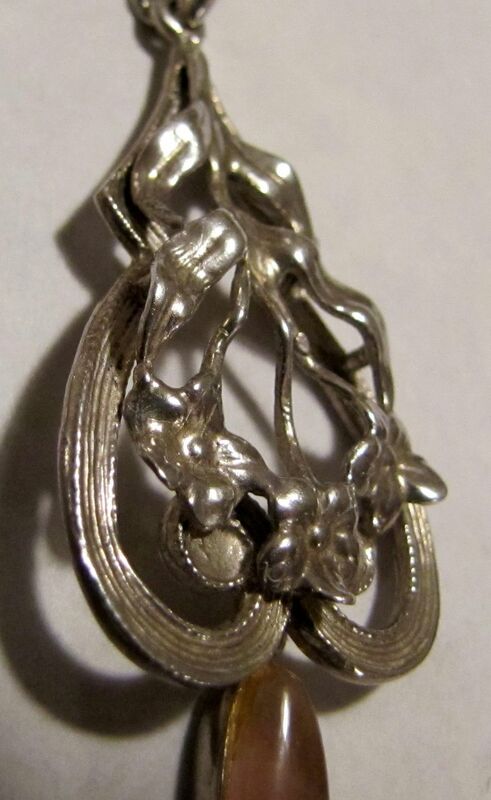 Beautiful pair of old, large sterling silver chandelier or drop earrings. 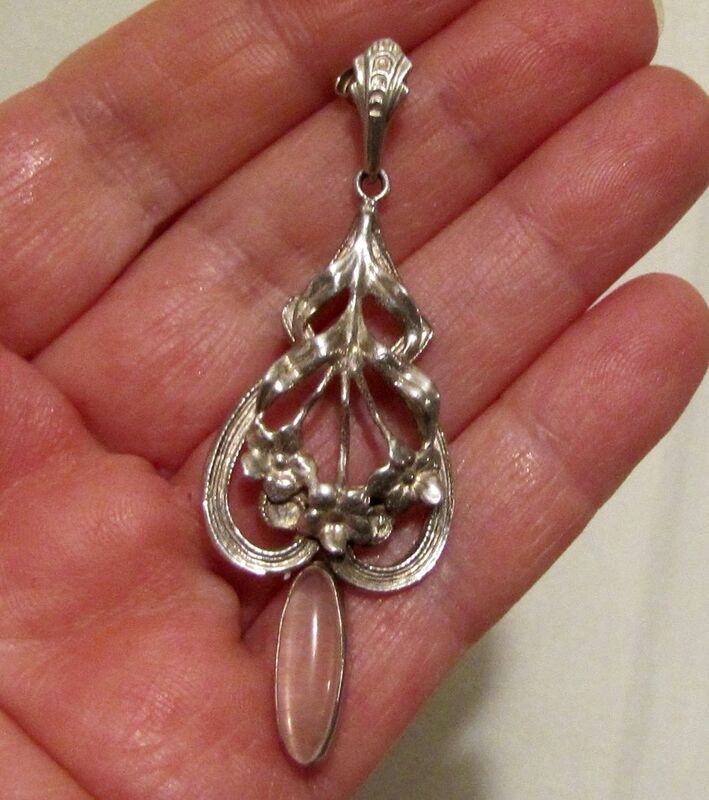 They have a victorian, romantic design of vines and flowers along with rose quartz wrapped in silver drop. 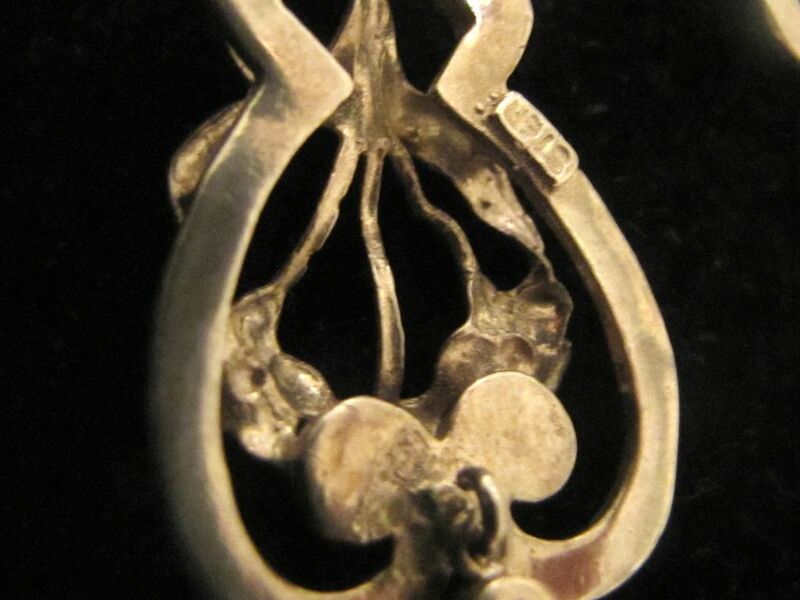 The design has a three dimensional aspect to it. 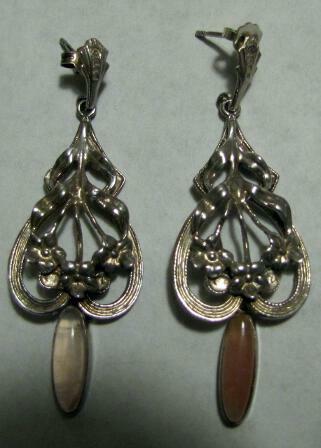 These earrings are made well and have a decent size being 2 1/2" long by 1" in width and weight 9.2 grams.